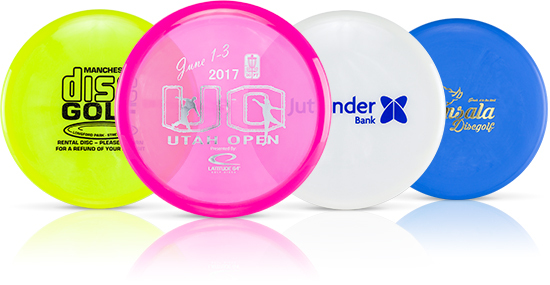 We offer custom discs for clubs/teams, tournaments, dealers, companies and special events. The minimum order for custom hot stamping is 50 discs. It is important to plan and order early, due to the lead time of around 3-4 weeks in Europe. Custom stamping for the U.S. market is handled by Dynamic Discs. Lead times vary depending on what mold you are looking for and the chosen discs inventory status. If the requirements and specifications below are met, we will be able to give you a higher quality custom stamp on the discs as well as faster service. If there are any questions regarding price quote and specific lead times, please send us an e-mail or call us using the phone numbers listed under Contacts. Please submit your custom hot stamp design to custom@latitude64.se. • Maximum size of the hotstamp is: 130 x 130 mm (51/8 by 51/8 inches ) in size. • Please convert all fonts to shapes. • Hot stamps should be submitted as 100% black and white. • Avoid solid coverage areas as they do not stamp well. We recommend a maximum area thickness of 10 mm. 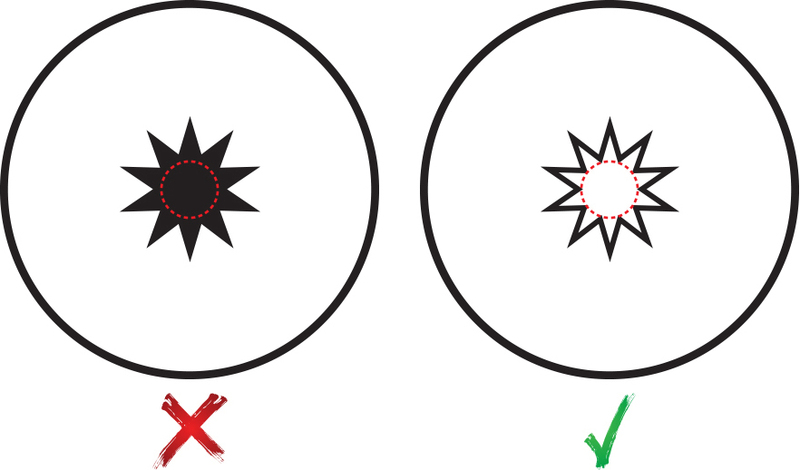 • Outlining usually solves the problem, as shown above in the first and second image. • Avoid covering the center of the disc when possible. 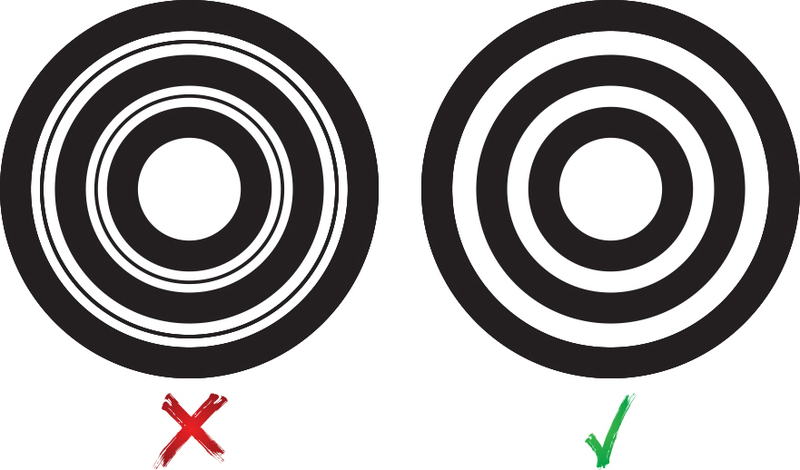 • Covering the center of the disc nearly guarantees a drop-out/misprint. • Do not use text to break up thick spaces. 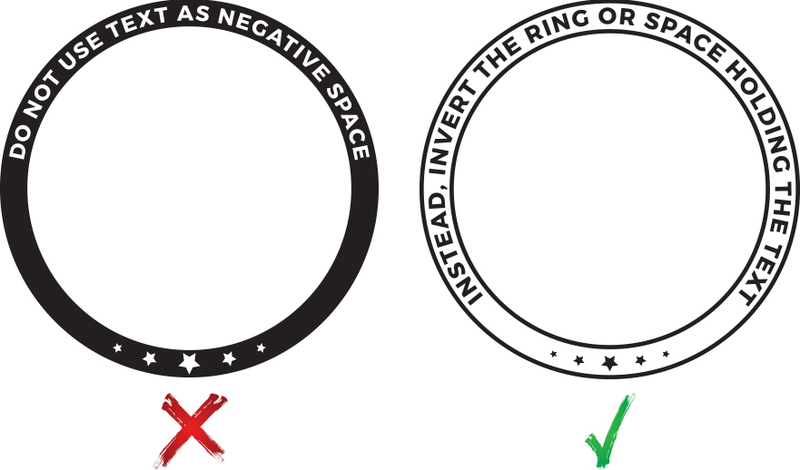 • Instead, invert the area and have the text be the area that gets stamped. • Avoid thick and thin lines that are close to one another. • This will cause the stamp to bleed together. • Keep consistent thickness in concentrated areas.